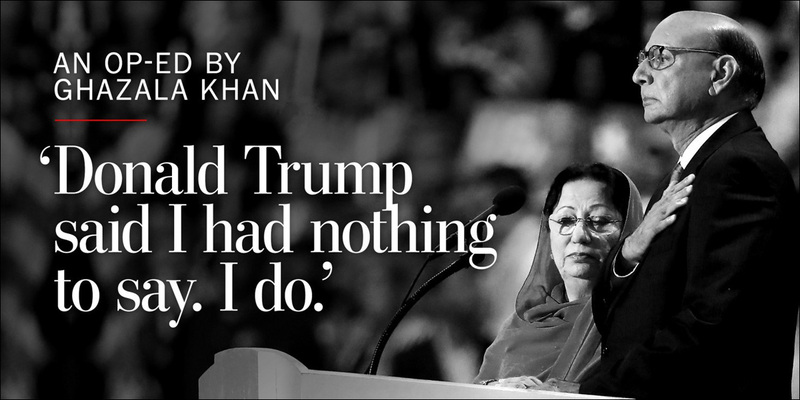 Ghazala Khan: Trump criticized my silence. He knows nothing about true sacrifice. "Donald Trump has asked why I did not speak at the Democratic convention. He said he would like to hear from me. Here is my answer to Donald Trump: Because without saying a thing, all the world, all America, felt my pain. I am a Gold Star mother. Whoever saw me felt me in their heart." Seven Minutes That Shook the Convention: How Khizr M. Khan, the father of a slain Muslim U.S. soldier, shamed Donald Trump, upstaged Hillary Clinton and gave the country a lesson in values. How Asian Americans Became Democrats: The last two decades have seen a major shift in the party preferences of Asian Americans, but they're still not deeply engaged in civic life. A Letter From Young Asian-Americans To Their Families About Black Lives Matter: In the flood of news coverage of the continued police murders of Black people, Christina Xu initiated a crowdsourced letter for young Asian Americans to talk about getting justice for Black families. Facing My Childhood Bully: Rupinder Singh, a Sikh American who relentlessly bullied as a kid, shares what happened when he came face to face with his childhood nemesis, and the choice he made. 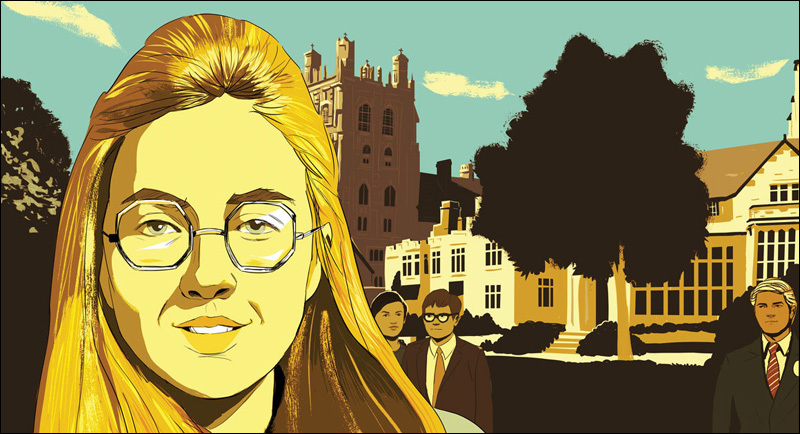 'Writing Rodham': The strange tale of a Hollywood screenwriter, Young Il Kim, who fell in love with the Hillary who could have been -- and wrote a screenplay about her that landed on the famed "Black List." When Defending Your Writing Becomes Defending Yourself The burden of craft, of speaking up, and of rules -- Matthew Salesses talks about his experiences in a creative writing phD program as a person of color. The Troubling Perpetuation Of Chinese Tourist Stereotypes: Chinese tourism has increased exponentially around the world over the past decade, following a lengthy period of relative isolation. How does media affect how foreigners perceive Chinese tourists? My Father, the YouTube Star: When foodwriter Kevin Pang's father started his own YouTube cooking channel, it was an opportunity for father and son to re-connect after years of distance. From Goldman Sachs To Nonprofit: Nancy Yao Maasbach And The Museum Of Chinese In America: Nancy Yao Maasbach is president of the Museum of Chinese in America (MOCA) in New York City, but she previously worked as an investment banker at Goldman Sachs. Anna Akana: How the Star of 'Miss 2059' Is Turning Online Fame Into an Empire: YouTube star Anna Akana talks about her new sci-fi comedy series Miss 2059, tackling Hollywood whitewashing, and busting through the industry's glass ceilings. This Rapper Wants to Challenge Your Asian Stereotypes: Great Big Story profiles Korean American rapper Dumbfoundead, aka Jonathan Park, who says he's not waiting for anyone to pass the mic -- he's grabbing it. Comic Book Writer Marjorie Liu On How Rejection Shaped Her Writing: Writer Marjorie Liu talks about how not easily fitting into identity categories helped to shape her imaginative worlds and characters. Martial Artist-Actress Karen Fukuhara on Her Film Debut in 'Suicide Squad': Los Angeles-born Karen Fukuhara is a martial-arts champion who has acted on Japanese TV, but her career will change gears in August when she appears as Katana in Suicide Squad. The Walking Dead: Exclusive deleted scene shows more Glenn and Nicholas intrigue: A new DVD deleted scene from the sixth season of The Walking Dead shows a little more of the ill-fated relationship between Glenn and that useless coward Nicholas. Jessica Sanchez Releases New Unity Anthem 'Stronger Together' for DNC: Former American Idol finalist Jessica Sanchez's new song "Stronger Together," written for Hillary Clinton's campaign, made its grand debut last week at the Democratic National Convention.